Situated on the quiet sub-division of Crescent Lakes, offering large plots, lake views and peace and tranquillity of the nature reserve surrounding it, yet close enough to Disney, Convention Center and many of the areas fine Golf Courses. "***** I just wanted to follow-up and let you know that I had a wonderful stay in the villa for my dates. I wanted to thank you all for being very accommodating. If there is any feedback you would like me to leave, I certainly could. Thanks again, I always appreciate great service! 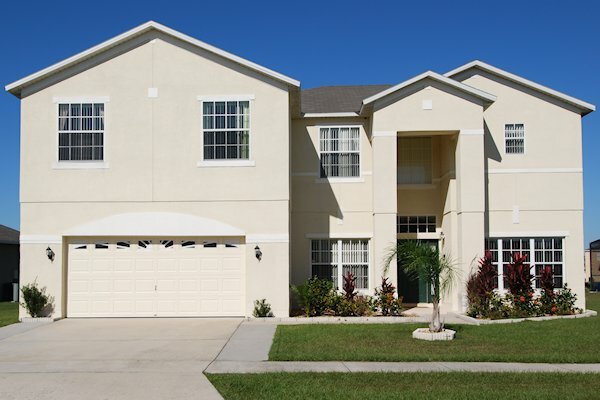 Guest from Florida - November, 2015"
"***** Great homes, great service, overall outstanding! Guest from Florida - November, 2015"
"***** I would just like to thank you for the whole process. It all worked out for us without any flaws. From start to finish. 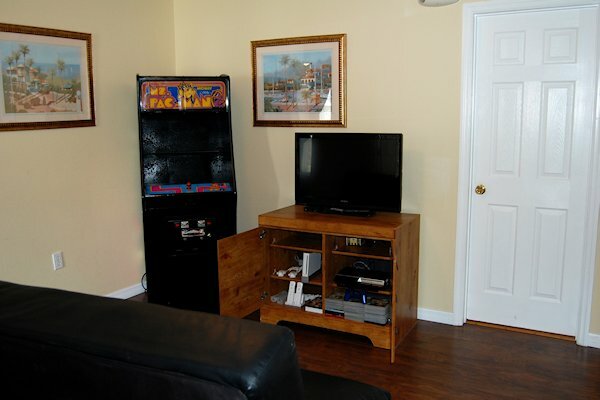 There were 15 of us in total and the house fulfilled all our needs for our vacation in Orlando. We were already feeling at home there after our 2 weeks. Everything we needed we had at hand and even though coming from Iceland we are not used to the distances, in the US we found everything we needed in the area. Thanks again for our great time. I will be pleased to pass the word along to friends and family that we had a great stay in your home and if need be we will be sure to contact you again regarding possibilities." "***** We came back last night from our vacation in Florida. Just wanted to let you know we loved your house and had a great time. Guest from Quebec, Canada - January, 2016"
"We have to thank both you and Steve for the great follow up we had with you, we did not encounter any problems with any of the villas we rented from you..... we would be happy to rent from you again and we will also pass this on to everybody we know that will be going to Florida. 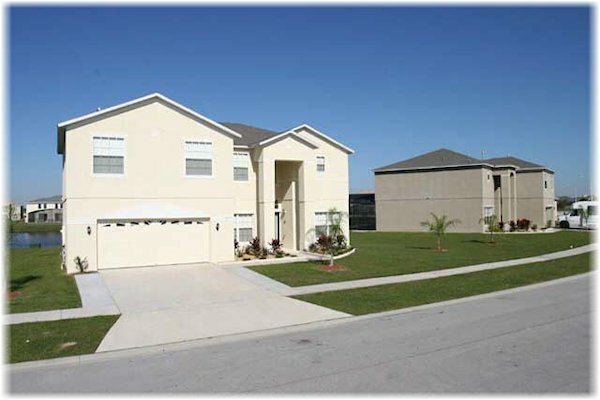 The villas you have is great, both in size, location and amenities. We would like to thank you one again for a great experience. 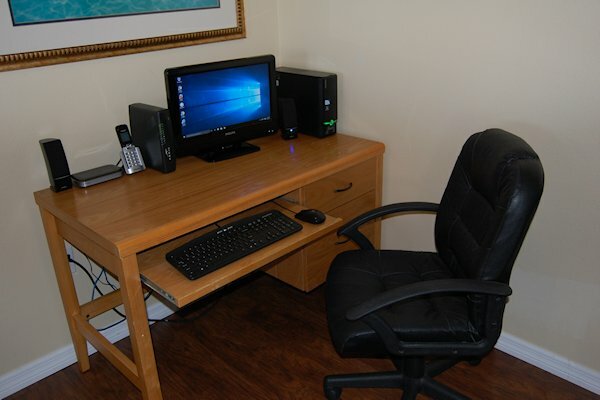 guests from Norway"
When you have decided to stay in our villa we will require a deposit of £100 / $150 per week. A security deposit of £200 / $300 is payable with your balance 10 weeks prior to your vacation and is fully refundable after your stay subject to our Management companies satisfactory inspection of the Villa. Alternatively you can pay a $49 damage waiver fee. We also accept Euro Cheques – please contact us for a quote. 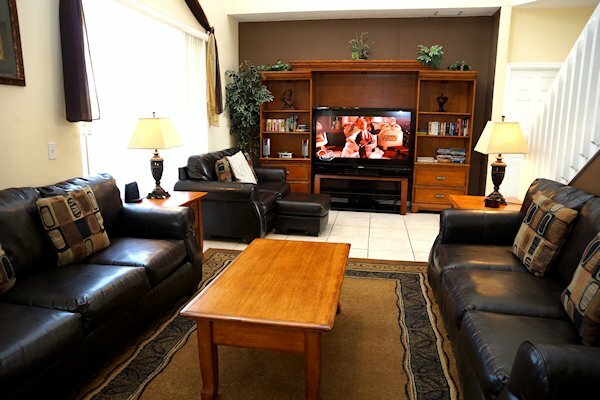 The living area is bright and spacious offering 3 sofas, 51” widescreen TV with cable channels, DVD, Video, iDock (iPod Docking Station) and Stereo system, We also provide a selection of DVD’s, Videos, Children’s toys and games for all ages. 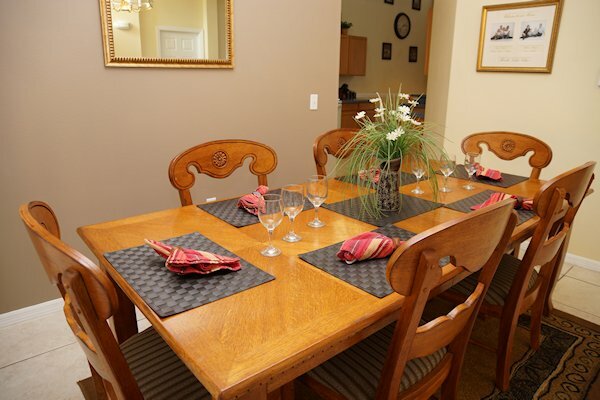 There are 2 dining areas providing ample room for all the family. 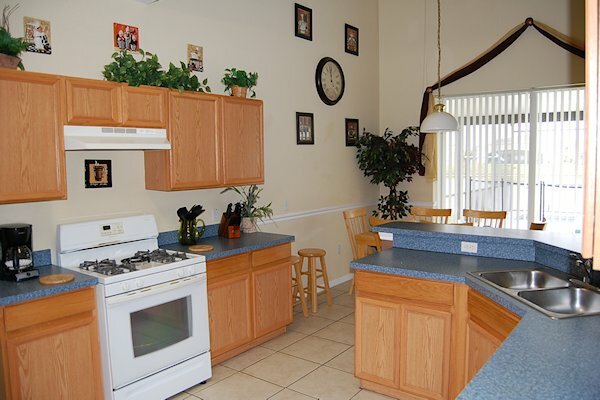 The fully equipped Kitchen is complete with all modern appliances, cooker, dishwasher, fridge/freezer, microwave, etc. 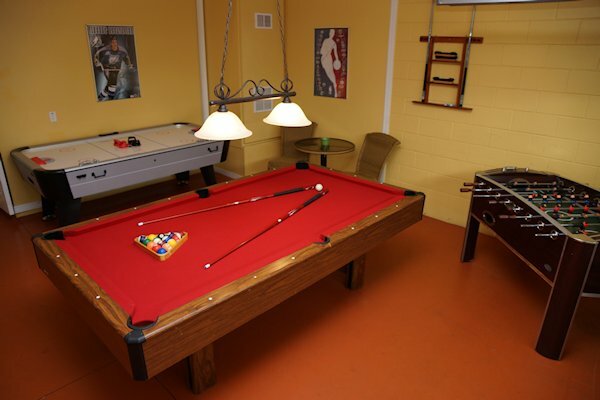 The Utility area has a washer, dryer, iron, ironing board and clothes dryer. 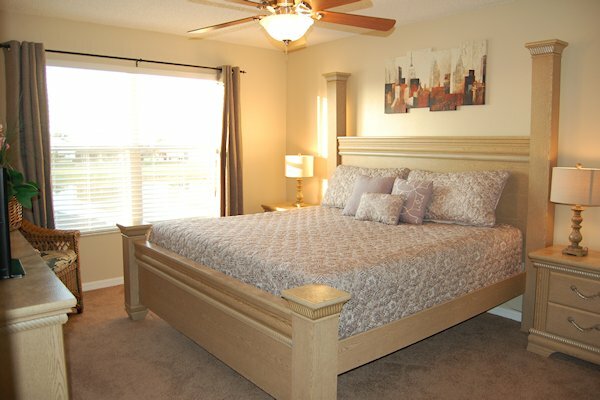 The downstairs bedrooms offer a Queen Master suite with Lake Views and a twin bedroom. 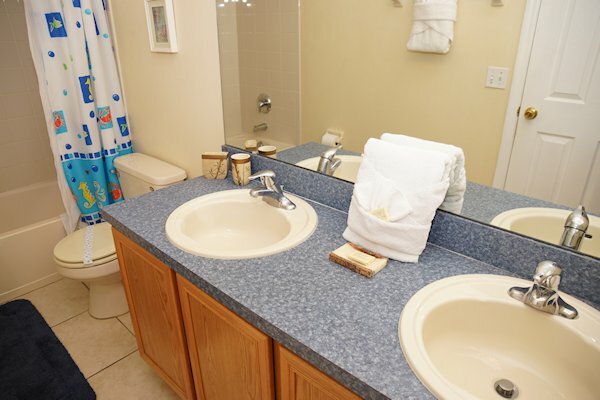 There is also a second bathroom on the ground floor and all have easy access. A further Queen sofa bed in the snug room brings the comfortable accommodation up to 16 people. The second Master is a Queen and situated on the Ground Floor. A twin bedroom is also located on the ground floor. A further family bathroom can be found on the ground floor. There are 4 further bedrooms consisting of a Queen, a Double, 2 Twins and an additional family bathroom. 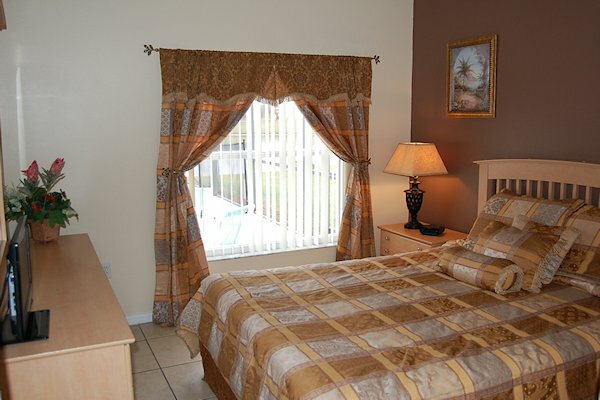 All bedrooms have Cable TV and ample storage space. 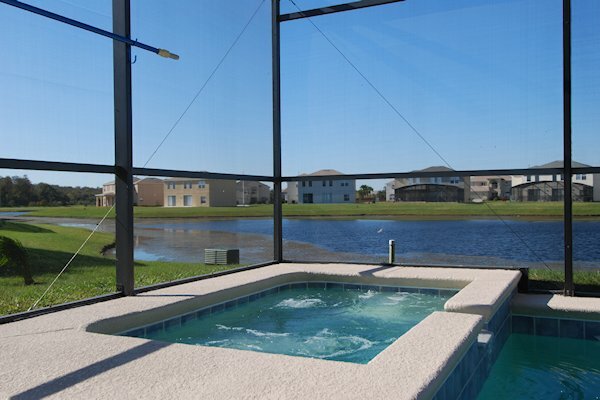 All our homes overlook the peaceful lakes of Crescent Lakes, where you can sit and watch nature all day. We have many birds around the area and of course the resident Alligator. The one thing you will notice is how peaceful and quiet this area is being set well away from the main roads. Communal Areas offering Children's Playgrounds, BBQ areas, Nature Walks, Basket ball courts, Soccer pitch and Softball Diamonds. Crescent Lakes is a quiet, tranquil area with much Wildlife around. A new addition to those listed is the Tennis Court with parking right next to it. The community offers security patrols and all our homes off intruder alarms and home safe deposit box for your peace of mind.